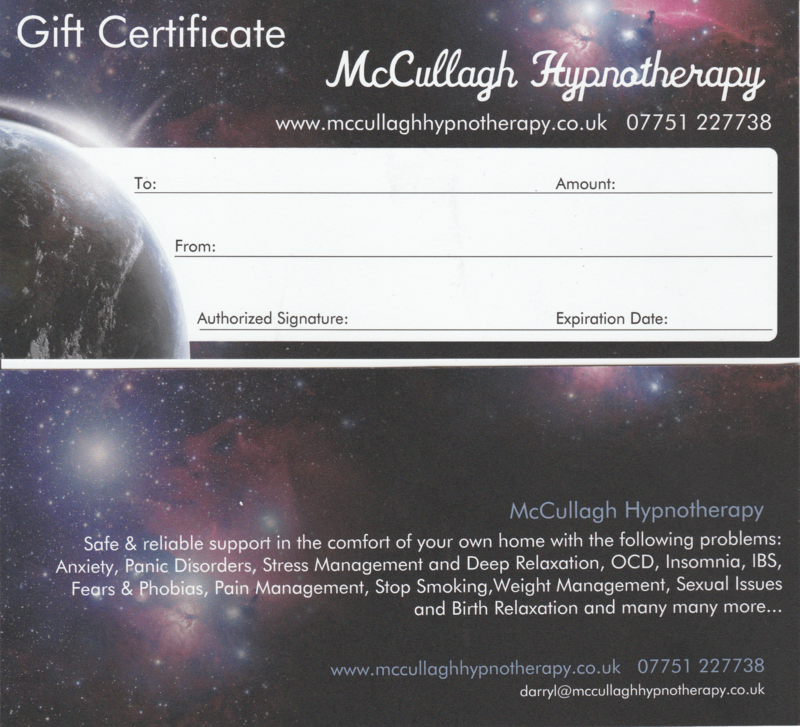 McCullagh Hypnotherapy vouchers now available. Know someone who would enjoy a deep relaxation session to forget about their everyday worries, or maybe you know someone who would like to give up smoking, but does not have the will-power. *Please note: Vouchers can be collected from Bangor or posted if payment received by Paypal. Please contact Darryl on 07751227738 or email: darryl@mccullaghhypnotherapy.co.uk or PM through the Mccullagh Hypnotherapy Facebook page.